For the past fifty years, aquaculture has become one of the world’s largest growing branches of food production through the process of farming a variety of aquatic organisms. Recirculating aquaculture technology emerged to reduce environmental contamination from traditional aquaculture systems. Consequently, this improved system has highlighted off-flavor accumulation in the tanks and the finfish populations. The following compounds, isopropylmethoxypyrzine (IPMP), isobutylmethoxypyrazine (IBMP), methylisoborneol (MIB), and geosmin, produced by microbial biofilters tend to cause a musty and earthy odor in fish resulting in unwanted products. A critical analytical assessment is needed for detecting and quantifying these off-flavored compounds at lower limits of detection than previously studied. Traditionally, vigorous, time-consuming, and expensive preconcentration steps were required to detect the compounds. Here, we implemented a gas chromatography single quadrupolar mass spectrometer equipped with a flame ionization detector (FID). Method development was configured to achieve the highest throughput possible for the previously mentioned off-flavor compounds. This simple and rapid method was used to obtain mass spectra for structure elucidation. Ultimately, the combination of samples will propose possible variables contributing to this contamination generated from microbial processes. 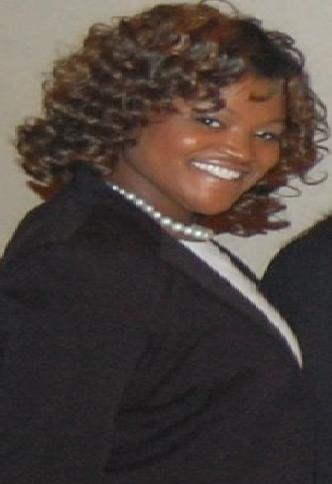 DeLauren McCauley is currently a third year doctoral student at the University of Maryland, Baltimore County concentrating in analytical chemistry. She is a dedicated member working in the Molecular Characterization and Analysis Complex (MCAC) under the direction of Dr. William LaCourse. While at UMBC, she was selected as a Meyerhoff Graduate Fellow and awarded a Louis Stokes Alliance for Minority Participation- Bridge to the Doctorate Fellow. She obtained a Bachelor of Science in Chemistry from North Carolina Central University in Durham, North Carolina. As an active graduate student in the MCAC, the objective of my research is to determine the analytical utility of using headspace sampling with trap followed by gas chromatography-mass spectrometry (HS) for off-flavor analysis. Headspace sampling with built-in trapping capabilities maximizes the extraction and transfer of HS vapor into the GC column, thereby lowering the detection limits by up to 100 times over direct injection methods and maximizing the extraction of volatile compounds from the headspace. Development of validated analytical methods for known off-flavor compounds in the culture water, accumulated sludge, fish flesh, and materials collected from RAS life support will provide source determination and avenues for future prevention. Research will also include the correlations of off-flavor compound correlation in the culture water and in fish flesh from the above optimal conditions. This research will conclude with the mapping off-flavor compounds in a variety of RAS configurations and determine their correlation with the system parameters. The recent incorporation of the Molecular Characterization Analysis Complex (MCAC) at the University of Maryland, Baltimore County, has made it possible for me to work with state-of-the art equipment in an industrial/educational environment. The MCAC also has over eight mass spectrometers available for this project to include a wide variety of comparison studies.